“Cone’s legacy goes beyond his writings, it extends to the opportunities it provided for others to find their own theological voice. He didn’t want disciples. He wanted those who would bring new perspectives to understanding and doing God’s work of justice in the world. The birth of womanist theology at Union was courageously brought forth in some measure due to the spaces opened up by Jim Cone,” said The Very Rev. Kelly Brown Douglas, dean of Episcopal Divinty School at Union. Cone’s most recent book, The Cross and the Lynching Tree earned Cone the 2018 Grawemeyer Award in Religion, jointly awarded by Louisville Presbyterian Theological Seminary and the University of Louisville. Born in Fordyce, Ark., Cone did his undergraduate study at Shorter College and Philander Smith College (B.A., 1958) in Little Rock. He graduated from Garrett Theological Seminary with a Bachelor of Divinity degree in 1961, and received his M.A. from Northwestern University 1963. Two years later, the Ph.D. was conferred on him by Northwestern. Cone joined Union’s faculty in 1969 and was promoted to full professor of theology in 1973. He was named the Bill & Judith Moyers Distinguished Professor of Systematic Theology in 2017. At Union, he researched and taught Christian theology, with special attention to black liberation theology and the liberation theologies of Africa, Asia, and Latin America. He also taught 19th and 20th-century European-American theologies. On April 18, Cone was elected to the 2018 class of the American Academy of Arts & Sciences. Among other numerous awards he received are the American Black Achievement Award in religion given by Ebony Magazine (November 1992); the Fund for Theological Education Award for contributions to theological education and scholarship (November 1999); the Martin E. Marty Award for the Public Understanding of Religion (2009); the Eliza Garrett Distinguished Service Award in recognition of seminal theological scholarship from Garrett-Evangelical Theological Seminary (2010). He received 13 honorary degrees, including an honoris causa from the Institut Protestant de Théologie in Paris, France. Cone, an ordained minister in the African Methodist Episcopal Church, was listed in the Directory of American Scholars, Who’s Who in America, Who’s Who in American Religion, Who’s Who among African Americans, and Who’s Who in the World. He was the author of 12 books and over 150 articles and lectured at many universities and community organizations throughout the United States, Europe, Africa, Asia, Latin America, and the Caribbean. He was an active member of numerous professional societies, including the Society for the Study of Black Religion, the American Academy of Religion, and the Ecumenical Association of Third World Theologians (EATWOT) in the Philippines. He was a founding member of the Society of Race, Ethnicity, and Religion (SRER). He is survived by his sons Michael and Charles, daughters Robynn and Krystal, and two grandchildren, Jolei and Miles. The Funeral for rev. dr. james h. cone will be held on monday, may 7, 11:00 a.m. at the riverside church. the service will be live streamed below for anyone unable to attend in person. 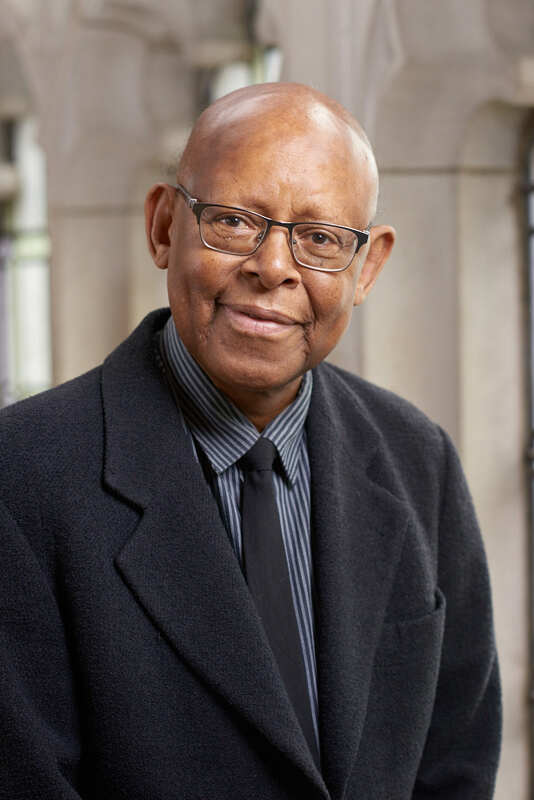 As we continue to pray and send positive energy to the family and friends of James Cone, we invite you to offer any memories, thoughts, or meaningful experiences you've shared with him. We also welcome any photos that you'd like to share. We plan to post these contributions on the Union website in the coming weeks.